When you know the vehicles, you know what services may need to be performed. This shop has 764 vehicles in need of AT LEAST an oil change, maybe more... The data shows these vehicles have driven an estimated 4,000 miles or more since the last service. The owner was shocked, because they use oil change stickers in every car. The owner immediately saw the opportunities for more work. The staff immediately started adding the oil change recommendations and sending out text message reminders. *This is real data, from a real shop. We've removed all private customer data. So you never inspected vehicles or made recommendations...no problem! RSS Toolbox can scan every car in your database for services you recommend! Tell RSS Toolbox how far back you want to look through all vehicles in your database. Most shops say if a vehicle has been serviced within the last year, then the customer is a part of the shop's client base. You can also set a custom date range to see all vehicles service during any time frame you require. 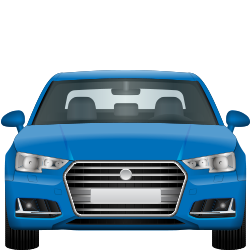 Find Vehicles that have driven "x" number of miles since the last service. If you have no vehicle recommendations this is a great tool to find every vehicle in need of an oil change. When the car comes back in take the opportunity to inspect the vehicle and add the newly found recommendations back into RSS Toolbox or your Shop Management System. You'll be glad you did. 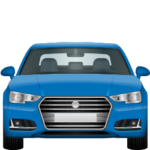 Find Vehicles that have between "x" and "y" number of miles on them. This has been a shop favorite since the day we added it to RSS Toolbox. Combine this function with the Make and Model functions to find virtually anything such as 30k, 60k, 90k, Transmission Services, Timing Belts, and more. This feature knows no limitation and uses your knowledge of vehicles to find the work you want, and your customers need. Do you prefer to work on Vehicles from certain years? Many shops only choose to work on vehicles from certain years because that is what they specialize in, or they just don't want to deal with others. Don't waste time following up on cars that only bring you pain. If you only want to work on ODB-II simply tell RSS Toolbox to only show vehicles from 1996 through today. Get into the nitty gritty details. Make, Model, Engin Size, Drivetrain, Transmission Types, and Transmission Models are all in RSS Toolbox...and they're searchable. If you know every Chevy - 5.3L - 4x4 - Automatic has "blank" problem between "x" and "y" number of miles...RSS Toolbox will find those vehicles in your database. Perhaps you can get ahead of it and save your customers some money. People keep driving and cars continue to break or need service. If you're looking for more work in your shop, you need the RSS Toolbox. We're still learning of new ways shop's are using the RSS Toolbox to find new vehicle services almost daily. 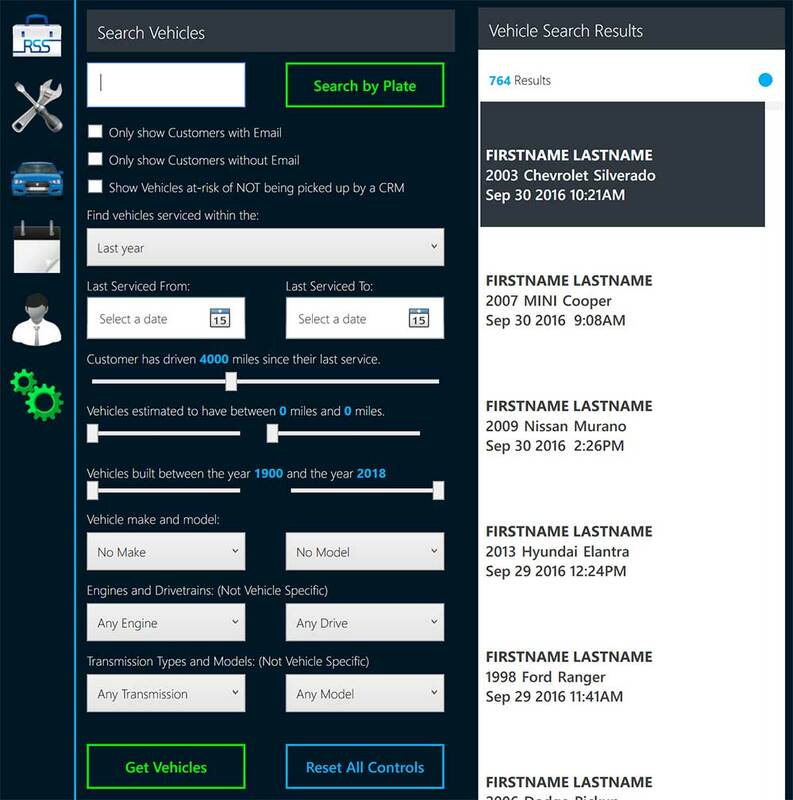 We've seen search results come back in the thousands from being able to analyze every vehicle in the database. You may never have a slow day again. There are no contracts for the RSS Toolbox, ever! Simply decide what type of work you're looking for and let RSS Toolbox do the rest. Download your free 14-Day trial below.